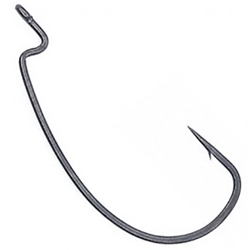 The Hayabusa Wide Gap Offset Hook is a multi-purpose, highly versatile hook for soft plastic baits. The wide gap allows for the use of bulkier soft plastics while providing a solid, effective, and productive hookset. If you like bigger craw baits, creature baits, and thick worms, this is the hook for you!